Posted on May 28, 2013 . No comment. Sony Music announced the name and the detail of Mayuyu’s 4th single “Rappa Renshuu Chuu”. Posted on February 10, 2013 . No comment. It’s quite a long time that I haven’t updated anything on my blog due to my work. Today let’s see the review of Nogizaka46 Official Calendar 2013. Posted on December 31, 2012 . No comment. Beside AKB1/149. I also got AKB48 in TOKYO DOME -1830m no Yume- BD for my New Years gift. Let’s see what inside. Posted on December 30, 2012 . 1 comment. 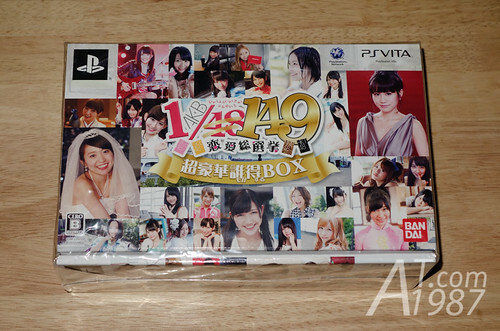 I’ve just got AKB1/149 Renai Sousenkyo Limted Edition Deluxe Box for my New Year gift. Let’s unpack and see what’s inside. Posted on December 21, 2012 . No comment. I seems that I forgot to put my AKB48’s latest single unpacking in the English blog. Let’s see what inside Eien Pressure package.